During 1905 Dad Fairbanks and his sons finished their grading contract on the Salt Lake and San Pedro Railroad in Las Vegas. Since most knowledgeable people saw little future in Las Vegas, population 300, with no mining and little ranch land, Ralph J. "Dad" and Celeste "Ma" Fairbanks, with eight mostly grown children, moved to Ash Meaddows. Here the Fairbanks family opened a stage station to provide beds, food, whiskey and poker to travelers, which supplemented their primary business of freighting from Las Vegas to the boom towns. The Tonopah and Tidewater Railroad opened for business in 1907 and undercut their freighting business, causing the Fairbanks family to sell Fairbanks Springs and to move to the boomtown of Greenwater, California. 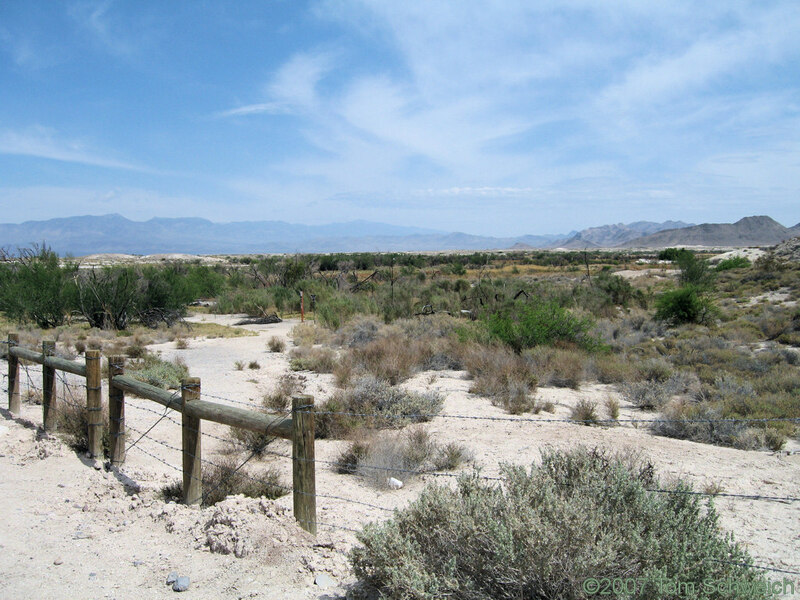 Other photos about Geography - Nevada or Nye County, Ash Meadows National Wildlife Refuge.